With nine elegant suites over four decks, Prana is more spacious and luxurious than any other Phinisi yacht in our fleet. 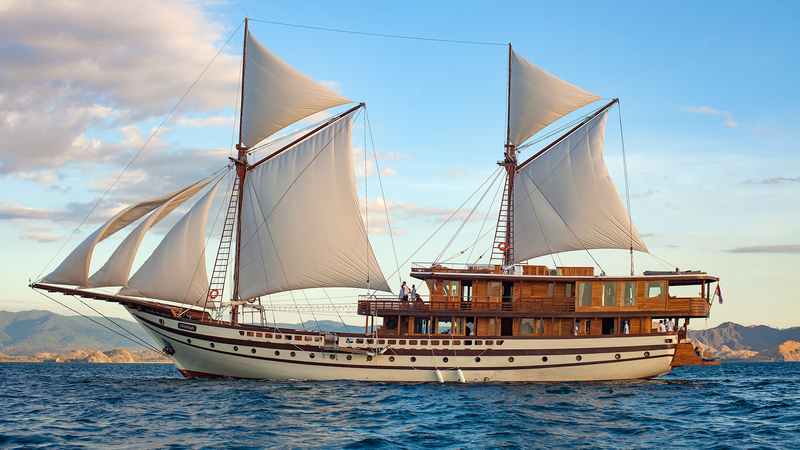 She was hand-built by expert boat builders in Bira, Sulawesi, and perfectly embodies the UNESCO-recognized culture of Indonesia’s legendary Phinisi ships. Onboard, there’s a vast 900 sqm of space dedicated to leisure. You’ll find an alfresco yoga deck, a spa, numerous outdoor and indoor living and dining areas, a water sports and diving platform, and an open-air cinema. Prana’s luxuriously appointed master suite features a super-king-size bed, double wardrobe, private sea-view terrace, and ensuite bathroom complete with rain shower and his and hers wash basins. Ensuite bathrooms, air conditioning, smart TVs, mini fridges and Bose sound systems come as standard in all cabins. The intuitive crew and onboard chef take your comfort and privacy extremely seriously, and are on hand to entertain your epicurean whims, from sunset aperitifs to seafood barbecues on the beach. 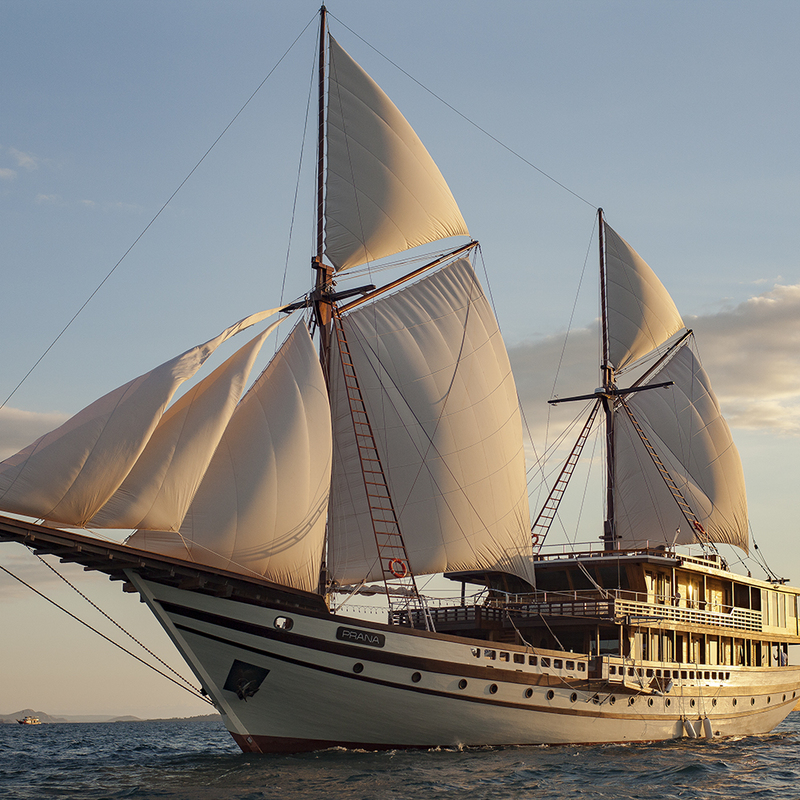 Chartering Prana promises the opportunity to sail through Indonesia’s off-the-beaten-track destinations in the timeless style of a two-masted wooden sailing yacht.